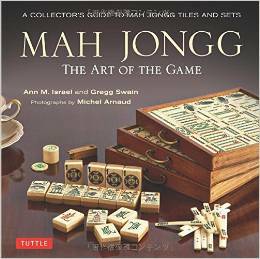 Well, I’ve got to give this woman a lot of credit for truly loving Mah Jongg! 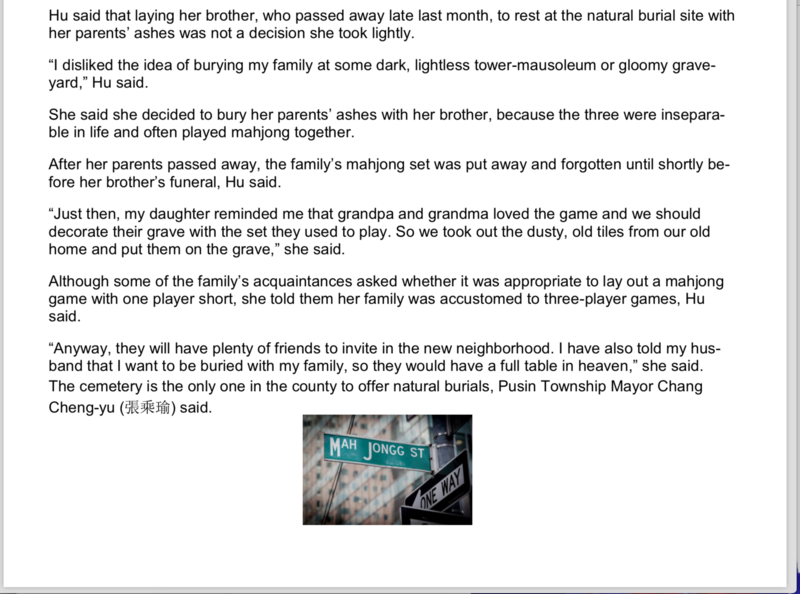 This entry was posted in Mah Jongg and Me and tagged afterlife, Changhua County, mah jongg, mahjong, Pusin Township Public Cemetery No. 5 on May 30, 2018 by Mah Jongg and Me. 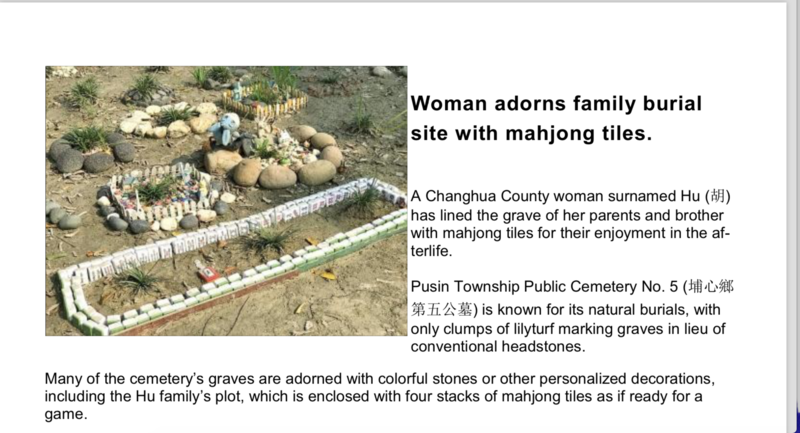 I want that Mahjongg Street sign! 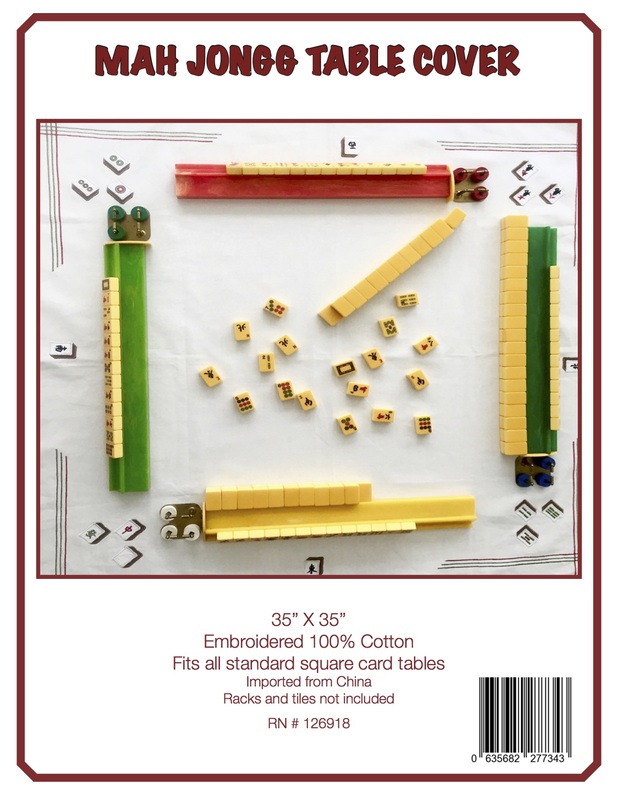 Hi, the Mah Jongg sign is not real, it is a graphic you can make free online. Love the article. It just shows you how much this game means to so many people everywhere! I think I’ll have Guy bury me with my enrobed set so that I’m prepared when I get to wherever I’ll be going.